Hugh’s Mechanical Equipment is a company that takes personal pride ensuring that every customer receives the highest level of superior customer service. Automatic Tank Gauge (ATG) and Leak Detection Equipment Inspections are an important process as an owner or operator of a storage tank. You have invested a lot of money in your automatic tank gauging system to monitor level and detect leaks. If you don’t maintain your automatic tank gauging systems effectively, you may be producing false readings or letting stored product leak into the environment. Tank probes and other sensing components can wear out and must be checked periodically. Most vendors recommend or require this maintenance activity at least once a year. Also, you can be cited and fined for not meeting Local, State and Federal EPA requirements for properly operating and maintaining an automatic tank gauging systems. Hugh’s Mechanical Equipment understands the important’s of maintaining your ATG systems, and offers complete ATG Inspections with certified reports from factory certified technicians for any System. We tailor your certified inspection for your specific tank system, insuring proper operation and reliable results. Verify system programming is correct - tank size, sensors, etc. Manually check sensors – double wall, sump, ground water, etc. Check for sump conditions – water, rusty pipes, oil, etc. Hugh’s Mechanical Equipment understands your ATG system needs to be functioning properly, and offers timely service and repair to all ATG systems. Our factory certified technicians specialize in troubleshooting your system and performing any necessary repairs. All services and repairs are tested and proven correct during the same visit to prevent unnecessary down time and return service. Do not rely on the vigilance of companies with undertrained technicians. Put ATG monitoring in the most responsible hands. Keep all records of calibration, maintenance, and repair of your ATG equipment for at least 1 year. Your UST system is “new” or “upgraded” — is that enough? Being “new” or “upgraded” is not enough. New and upgraded USTs are made of a complex collection of mechanical and electronic devices that can fail under certain conditions. These failures can be prevented or quickly detected by an annual inspection. 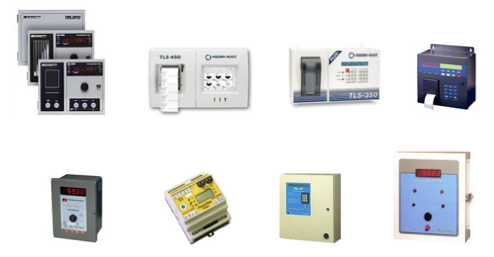 Having a new or upgraded UST system is a good start, but the system must be properly operated and continuously maintained to ensure proper operation in a critical emergency situation. Do you know what your ATG system monitors? Our annual inspections and recertification’s offer complete certified reports tailored to each monitoring system and tank. Your reports will be easy to understand with all information pertaining to your system in one report. Hugh’s Mechanical Equipment has set the industry standard for exemplary knowledge and experience servicing Automatic Tank Gauging systems throughout the New England area.